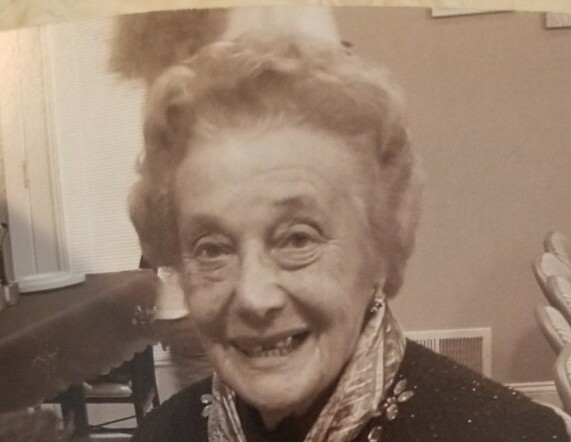 Filomena D’Archi, 97, formerly of East Hanover, passed away peacefully on February 11, 2019. Filomena worked many years at Andrea’s in Orange. Beloved wife of the late Beniamino D’Archi. Devoted mother of the late Lisa Vassallo, her husband Sam, the late Silvia DeAngelis and her husband Nick. Cherished grandmother of Sammy Vassallo, Marina Barisciano, Maria DeAngelis and Stephanie Keller. Great-grandmother of Giovanni and Antonio. Dear brother of Emelio Devito. Visitation at the Leonardis Memorial Home 210 Ridgedale Ave. Florham Park on Thursday from 4-8pm. Funeral on Friday assembling at the funeral home at 8:45am followed by a mass at St. Rose of Lima Church in East Hanover at 9:45am. Entombment at Gate of Heaven Cemetery.